Replacement parts are about value, not cost. A less expensive component or screen that does not last is not of value to the people tasked with keeping a machine or process running and producing product in a timely manner to meet requirements. Mogensen and Allgaier engineers designed and built your machine with your specific requirements in mind. Doesn’t it make sense that replacing components when required with ones that have the same quality and exacting standards? In North America, we are THE source for OEM components and expertise in the operation of Allgaier and Mogensen equipment. In order to get the most out of your investment in Allgaier or Mogensen equipment you need the peace of mind of knowing someone has your back. Whether it is initial commissioning and training in safely operating your machines, or a knowledgeable source to discuss productivity or performance changes you are seeing, Allgaier Process Technology is here. to answer your questions and solve your problems. 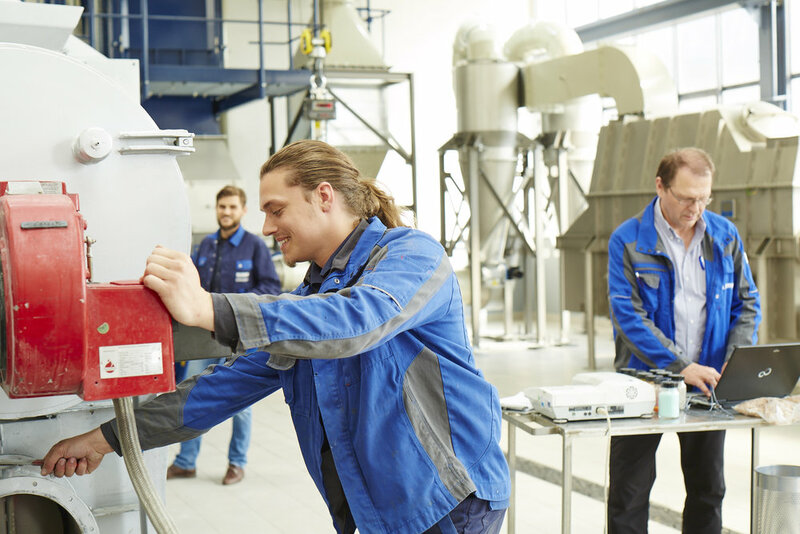 The installation and start-up of your new Allgaier or Mogensen equipment is that much easier with an experienced Allgaier Processing Technology engineer or service technician by your side. Be sure to discuss this options with us as you make final plans for the purchase of your new equipment. Making the most of your scheduled PM is critical to ensure your entire process continues to operate between shutdowns. If you think PM is costly, unplanned shutdowns are even more costly because of the lost productivity. Adding features or upgrading elements of your Allgaier or Mogensen equipment. Employee turn-over, new requirements, etc. can leave you with opportunities to ensure your team is properly focused and trained on the safe and proper operation of your Allgaier or Mogensen equipment. Continue to get the most out of your Allgaier Process Technology equipment by replacing major components at your site.